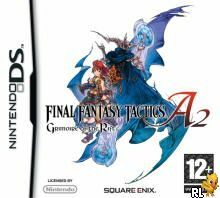 OverviewReleased for the US on June 24, 2008, Final Fantasy Tactics A2: Grimoire of the Rift continues Square-Enix's commitment to mixing the Final Fantasy universe with turn-based tactics. 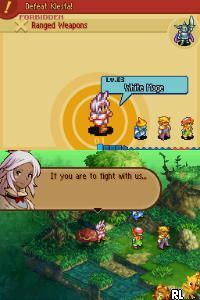 Join Luso Clemens as he attempts to return to his former world all while solving some of Ivalice's own problems. Now you can add videos, screenshots, or other images (cover scans, disc scans, etc.) for Final Fantasy Tactics A2 - Grimoire of the Rift (E)(EXiMiUS) to Emuparadise. Do it now!